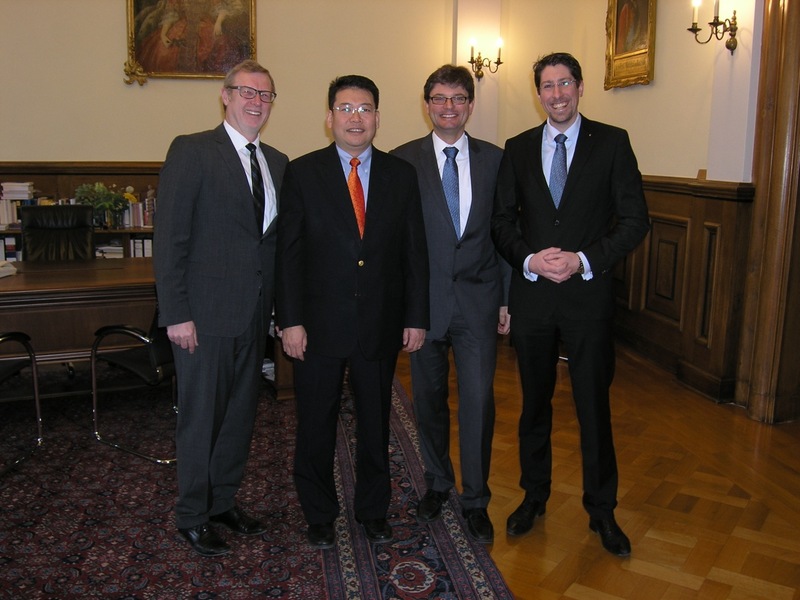 Friedrich-Alexander-Universität Erlangen-Nürnberg (FAU) and Peking University (PKU) have reached an agreement on a shared graduate school for healthcare engineering. During his visit to Beijing, Professor Joachim Hornegger, Vice President for Research at FAU, and Professor Yansong Li, Vice President of PKU, signed a memorandum of understanding between FAU and PKU. This co-operation will keep FAU at the forefront of healthcare engineering and develop a leading partnership with an elite university. Within the scope of the co-operation, FAU shall work closely with Peking University to exchange research and offer young engineers the opportunity to work in an international arena and closer to industry as part of an eight-semester graduate programme. The programme includes a preparatory semester to foster intercultural understanding and subject knowledge as well as an exchange of doctoral candidates between the universities. In the first year, up to five doctoral candidates will take part in the exchange and two or three doctoral candidates will attend their partner university in the following years. Annual summer schools will complement the programme. The doctoral candidates will receive a degree from each of the universities. A research stay at Siemens is also part of the programme with a significant part of the research conducted either at the universities or in the Siemens laboratories. 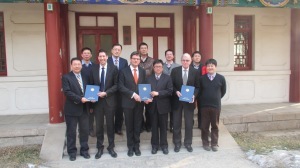 Both the vice presidents of FAU and PKU, Professor Qiushi Ren (speaker of the Department of Biomedical Engineering at PKU), Dr. Kurt Höller (managing director of the Central Institute for Healthcare Engineering at FAU) and Dr. Klaus Klingenbeck (Vice President for Innovation at Siemens AX) signed a co-operation agreement between the universities and Siemens in Beijing. Peking University is the leading university in China with close links to the universities Stanford and Harvard. The university is also listed among the top 50 universities in the world in the Times Ranking 2012-2013. The new agreement underlines the outstanding international reputation of healthcare engineering in Erlangen, which benefits from excellent research conditions in the Nuremberg Metropolitan Region: ‘The close network of partners from industry, university research and commercial research create a perfect environment for fostering knowledge transfer and scientific discoveries worthy of international recognition in a comparatively small region,’ says Professor Joachim Hornegger. Professor Qiushi Ren was impressed by these factors on his recent visit to Erlangen. Alongside discussions with several professors at FAU and visits to the Medical Valley Center, the Imaging Science Institute at the Universitätsklinikum Erlangen and Siemens Healthcare, Professor Ren was also received by the lordmayor of Erlangen, Dr. Siegfried Balleis, and attended an official reception hosted by FAU Vice President Hornegger at the Schloss in Erlangen. Parts of the discussions between both representatives of the universities in addition to the graduate programme focused on preparations for a joint workshop and the application for an international research association for medical imaging. Before leaving Erlangen, Professor Ren gave an engaging presentation on ‘Multi-Modality Molecular Imaging for Nanomedicine and Cancer Research’ to a full auditorium. FAU is already a driving force in leading healthcare engineering: over 60 professors and their teams at four faculties are working in healthcare engineering or related disciplines. 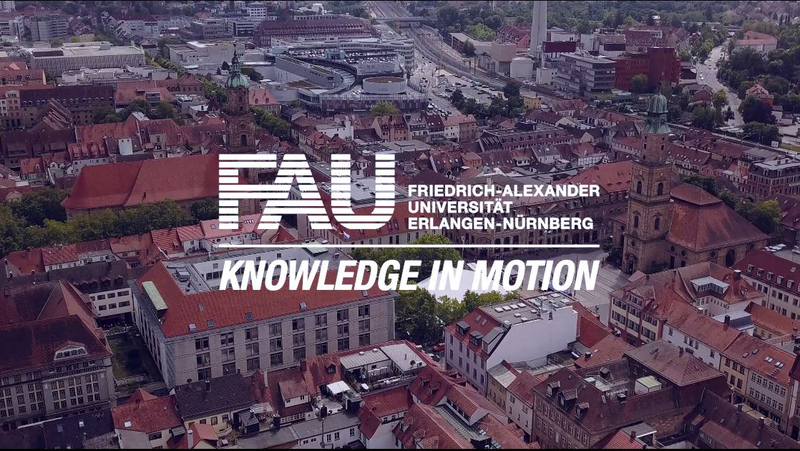 The degree programme healthcare engineering was introduced at FAU in the winter semester 2009/2010 with 300 first-year students starting the programme. Due to its great popularity , only the best candidates can currently be accepted for the programme after an extensive assessment procedure. At present, 600 students are enrolled in a Bachelor’s or Master’s degree programme in healthcare engineering at FAU. The programmes mainly focus on medical imaging and device technology. At over 50 percent, healthcare engineering has the highest quota of female students of all engineering programmes at FAU. 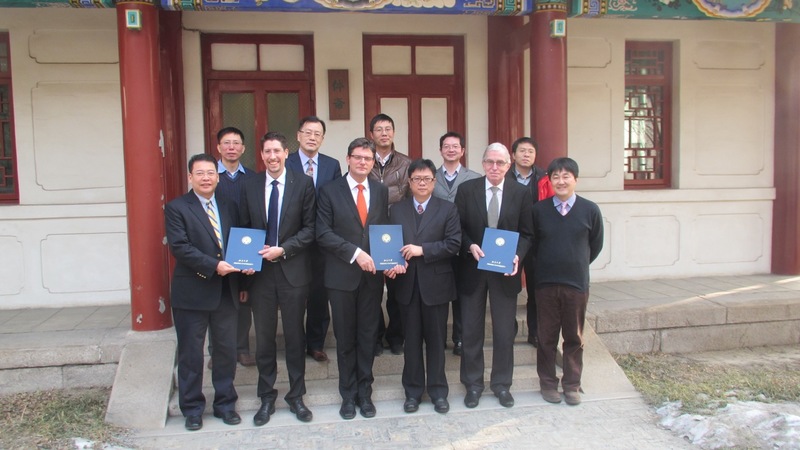 The co-operation between FAU and PKU also benefits from intensive economic links between the Nuremberg Metropolitan Region and its partners in China. The China Center for International Economic Exchanges (CCIEE) and the Medical Valley of the Nuremberg Metropolitan Region signed a memorandum of understanding for a project to develop technology parks in China that are linked directly to hospitals and medical research institutions according to the German model.